A Natural Born Citizen...Orly? : Do you recognize this medallion? A discussion of the Obama Eligibility Controversy, with a call to action! Do you recognize this medallion? A medallion worn around the neck of a young Barry Soetoro in Indonesia appears in a picture of the Soetoro family which is featured in the article "The Three Stooges go to Washington: Part 3, Barack Hussein Obama" by Don Nicoloff, which was published in fthe September 15, 2008 issue of The Idaho Observer newspaper. Do you know what this medallion is, or what it signifies? We are getting to the final rounds of our lawsuits. Please help by contributing to defray our expenses. Visit the FBI! Contact our coordinator for the FBI visits. Visit the US Attorneys! Contact our coordinator and put US Attorney in the subject line. Any letters from Congressmen, Senators, electors, etc. should be copied to our coordinator. These letters need to be on letter head. We will accept emails also as long as they have the address of where they came from. Please black out your own personal information. These letters will be submitted to SCOTUS. Exactly What is a Natural Born Citizen? 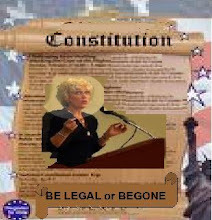 If you are an attorney and would like to assist Dr. Orly Taitz, please feel free to contact her at dr_taitz@yahoo.com. 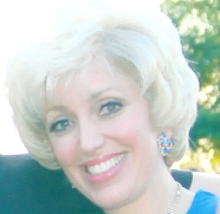 If you want to contact me, send me an email at dr_taitz@yahoo.com. GrassFire.org - Real Impact Online.